After a few hours of sleep, it was time to wake up in the very early morning at 4:30 AM to begin preparations for the journey into the Copper Canyon. The hotel I was staying at, Hotel Plaza, had a good location and bathroom, but that’s about it. Anyway, it was cheap at $60 US and served the purpose. 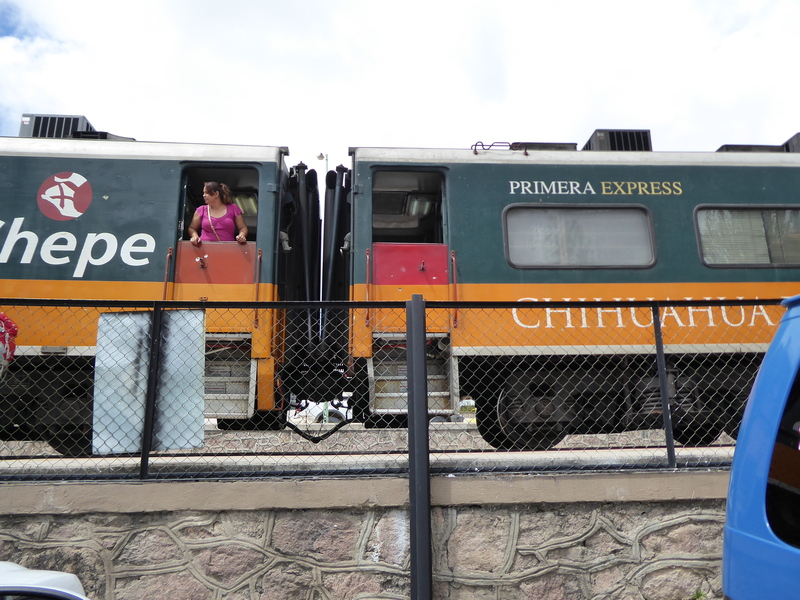 At 5 AM, I hopped in a taxi to the train station to catch the “Chepe,” the only passenger railway in Mexico. The interior of the train station was small, but that was fine as it was off to the platform to find the carriage. I booked first class for $80 US instead of $50 US, and it seemed that I got an entire train car to myself as a result. The only other people in my car were security guards armed with machine guns. This may be alarming to some, but I’m immune to it after seeing this on so many occasions in various places. 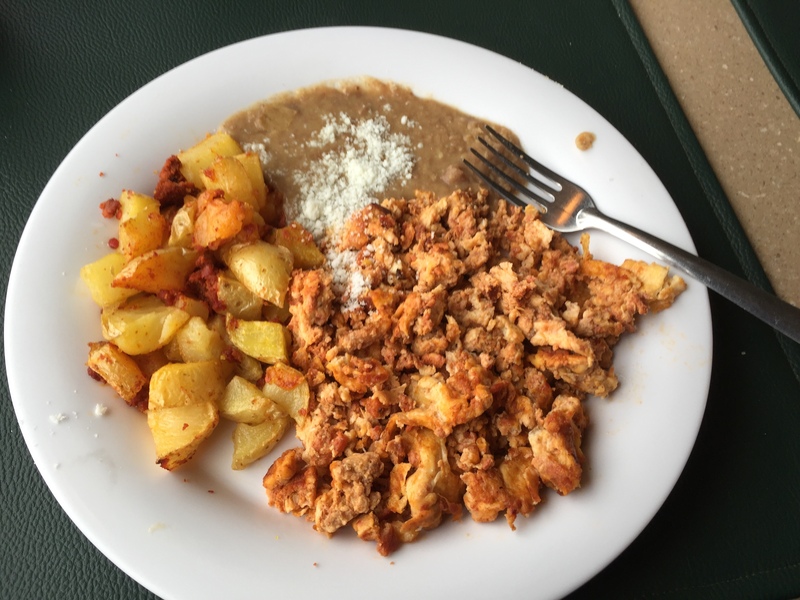 The front car of the train was a dining car; I soon discovered this was more for the ambiance than the food, which was mediocre, a rarity in Mexico. That being said, it was a good way to spend an hour or so in a 5.5 hour train ride. Interestingly, the drive for the same distance takes two hours less. That being said, the train is about the experience. After nearly six hours, I arrived in Creel. Though it is advertised as the center of the Copper Canyon, it is not actually in the canyon itself. It is instead a sleepy village that houses several hotels and tourist agencies. Essentially, it is the center of tourist operations. After arrival, I dropped my bags in an apartment the tourist agency had arranged for me and I had about an hour to spare before the half day tour was to begin. 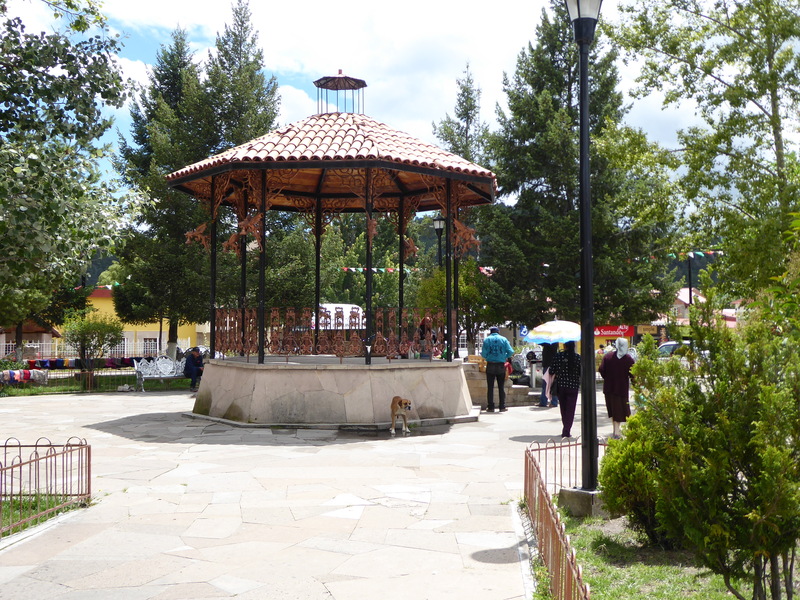 The central plaza was quaint, with a small gazebo. 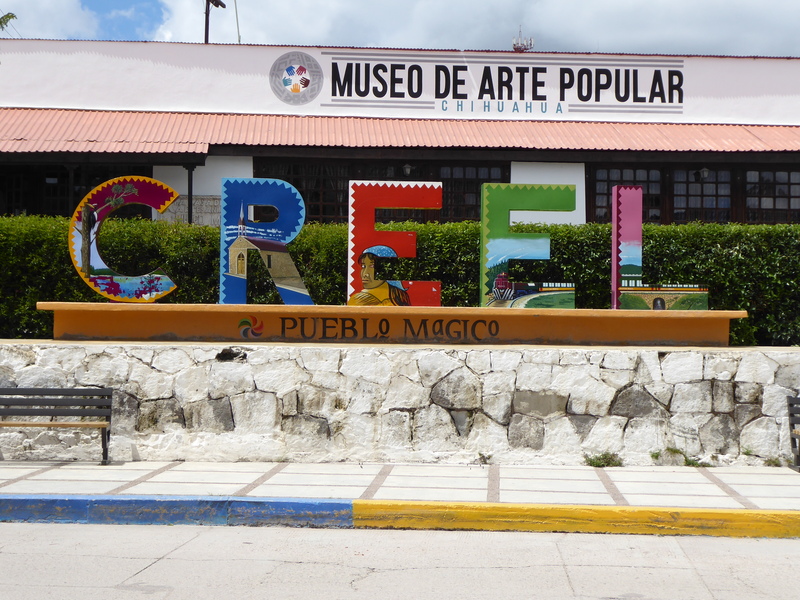 Just across from the center were the letters of the city like nearly every Mexican city I’ve been to; this is a pattern that I really like. From here, it would be onwards to my first tour of the Copper Canyon.